This piece is created with the intention to encourage the use of recyclable materials and alternative mediums to aerosol paints. Alternative mediums can consist of natural plants that are supplied by earth’s natural resources. These natural plants not only benefit the environment it surrounds but also reduce toxic chemicals released by aerosols into the earth’s atmosphere. By combining recyclable materials and an alternative medium together, the end result is a natural form of art. Art that has given waste a new life and reason to be reused while also using earth’s natural resources as a medium. It is a piece that is given by the earth and recreated into a new form. 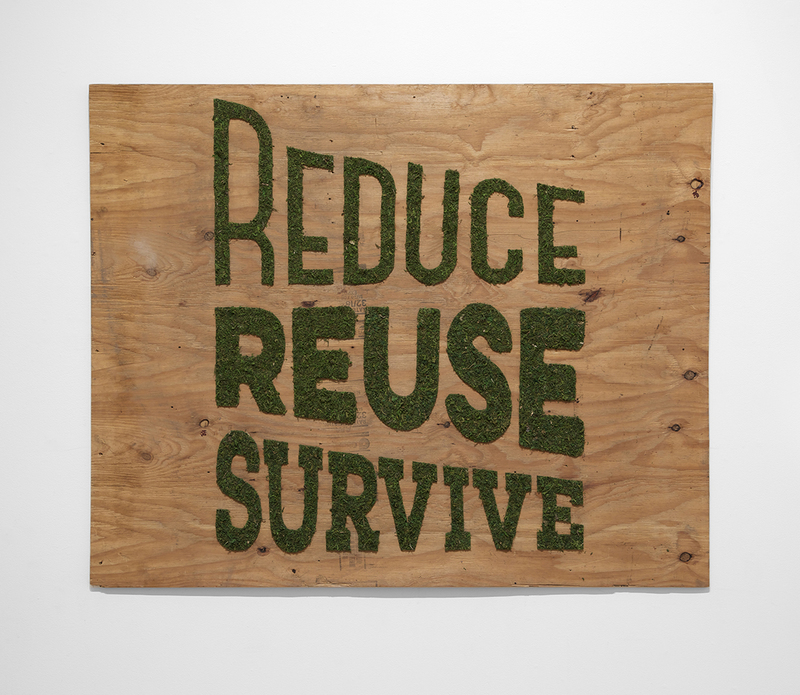 Reduce, Reuse and Survive presents a solution towards climate change by utilizing recyclable plywood and earth’s naturally preserved moss as mediums to create new forms of artistry. I’m seeking a form that breathes new life into wood and moss as materials while also reducing toxic chemicals being released into the earth’s atmosphere from aerosol paints.